If I wanted to be perfect on style and grammar, I’d call this post “Spirits of Spirits of French Lick.” You see, the distillery is called Spirits of French Lick, not French Lick, which makes me realize that I’ve now typed French lick four times. Five. Spirits of French Lick can be found in West Baden Springs, Indiana, which is right next door to the town of French Lick. 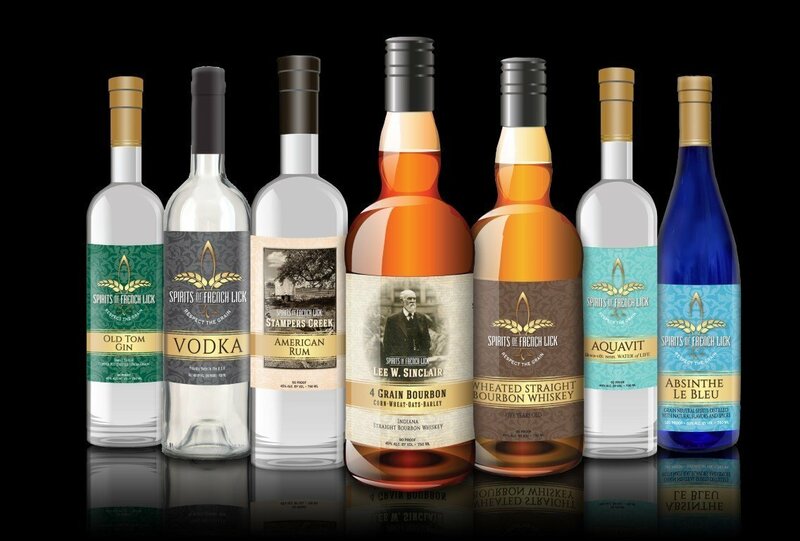 The distillery is a spinoff of French Lick Winery, and, after nearly 3 years of operation, it now claims nearly a dozen products spanning a range of spirits of styles. (It’s hard to get an exact number, as SoFL’s website isn’t terribly up to date). Today we look at five products from Spirits of French Lick, including two bourbon whiskeys, an absinthe, an old tom gin, and — why not — an aquavit.